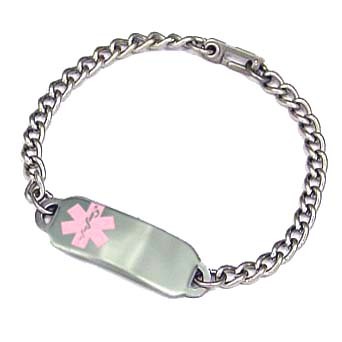 This super comfy stainless steel medical identification bracelet offers durability for your more active little ones. Our Deluxe Stainless tag is perfect for everyday wear! Price includes our Deluxe stainless steel medical ID tag with Traditional, clear, etched engraving & stainless curb link chain with your choice of closure. 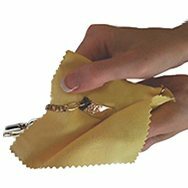 Sizing for this style: Take a snug wrist measurement, (no wiggle room) and add 3/4" of an inch for the correct size in this smaller chain style. Wrist Measurement + 3/4 inch = correct bracelet size.